Join Us at RCCG Everlasting Father's Assembly, Leeds for this event. Come and PRAISE the Almighty Father with Us. 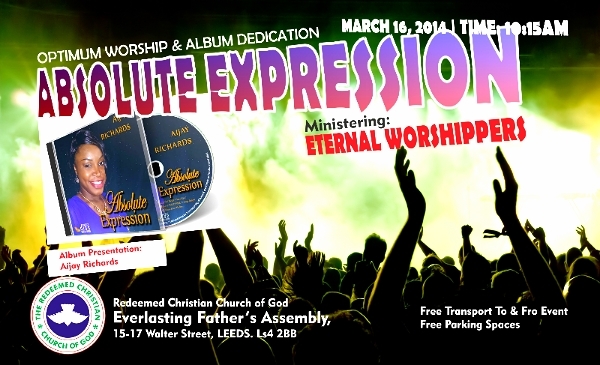 Copyright (C) 2014 RCCG Everlasting Father's Assembly, Leeds All rights reserved.